We all love a good time-saving hack, amiright?! If you’re anything like me, you absolutely LOVE all the great features of Tailwind, but sometimes scheduling each individual pin can be a bit time consuming. Well, my friends. 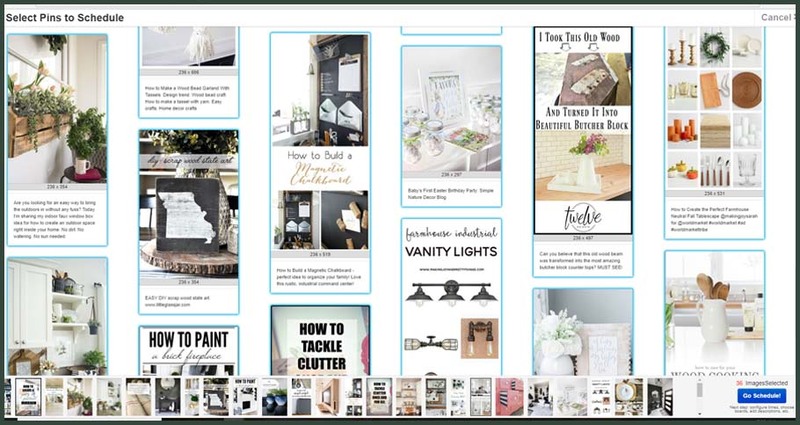 Say hello to one of my favorite Tailwind hacks that will not only save you time but ALSO easily keep you up-to-date with repinning from group boards. As you can see, my schedule has a LOT of empty spaces in it. Instead of individually finding pins, one by one, and adding them to the scheduler, I always use this time-saving hack to schedule TONS of group board pins with one simple browser add-on – the Tailwind Publishing Browser Bookmarklet. To get started, make sure you have the bookmarklet installed in your browser. If you’re not sure how, check out this simple tutorial. 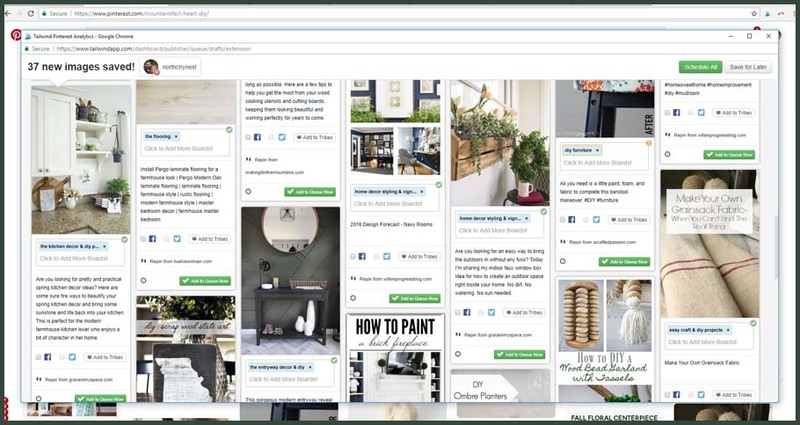 Once it’s installed, go to one of your Pinterest group boards that generally has great content to share and click the Tailwind Bookmarklet icon. A popup will appear that includes a selection of pins from that group board. Select which pins you’d like to schedule to your own boards, via Tailwind. Click the ‘go schedule’ button. A new window will appear with all the selected pins and space to choose which specific boards you’d like to schedule that pin to. Once all the pins have a place to go, click the ‘schedule all’ button. And that’s it! You’ve not scheduled 20+ (36 in my case!) pins in a matter of minutes. 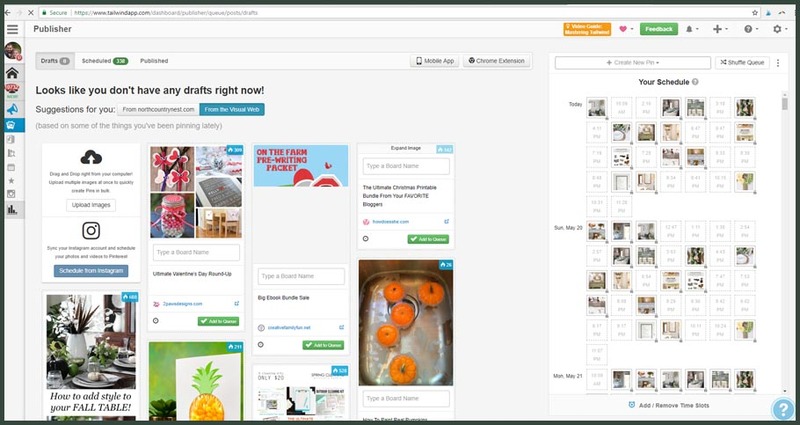 Pro tip: You can use this feature with any board on Pinterest. If I find someone who is sharing truly amazing content, I’ll navigate to one of their personal boards and schedule out pins directly from there. 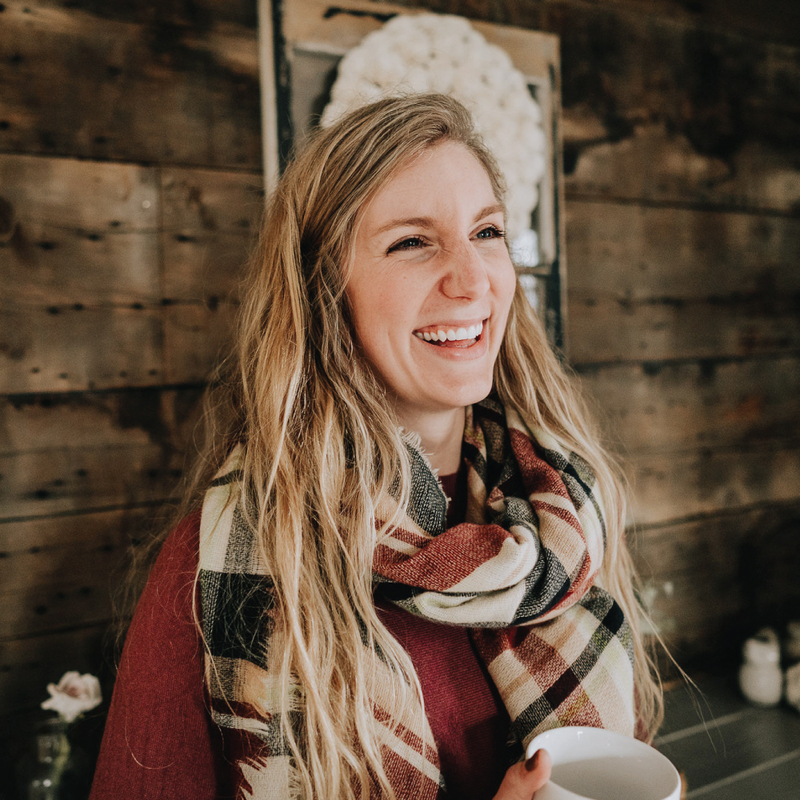 You don’t have to be a member of the group board or a follower of their content to use this feature – it’s just a great time-saving way to share awesome content!